9/03/18 - This is cool stuff and I like it too, great morning with these boys. We fish just the morning on Lake Siskiyou and have some decent action on Browns and Rainbows. Best part is watching these young boys enjoy their time on water with their Dad and Grandma. Cant beat it. The Trout bite is best on Lake Siskiyou at first light. Once the sun is up and shining down on the water the bite slows down. Plugs smothered in Pro-Cure Garlic Bloody Tuna brought us the biggest fish and most action. 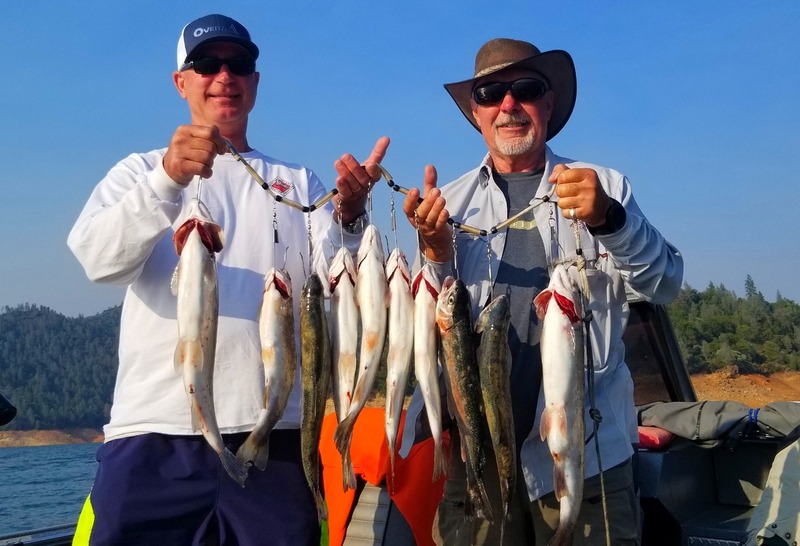 Some great Fall fishing on the Klamath River and the Lakes is just around the corner give me a call 530 905 0758 or checkout my online Booking Calendar to book your next fishing adventure.